This volume contains a hundred poems from the prolific French poet Maurice Rollinat's collection Les Névroses, translated into English and introduced by Philip Higson. Known for his translations of Baudelaire, some of Higson's translations of Rollinat were shortlisted in the 1995/6 BCLA/BCT international competition. Dr Higson believes that Rollinat has been scandoalously undervalued in the century since his death. 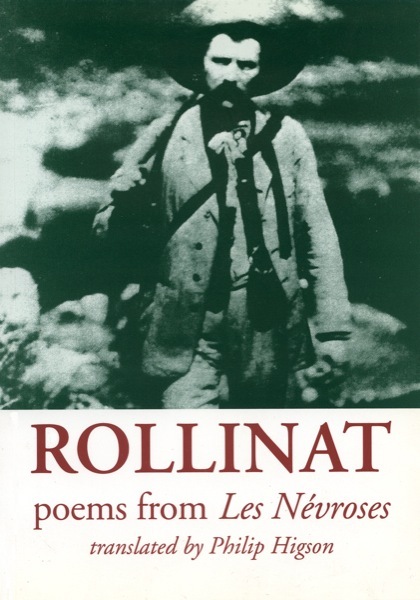 Maurice Rollinat (1846-1903) was a prolific poet inspired principally by the Berry countryside which he had loved ever since his childhood and where he chose to live permanently after becoming a national celebrity in 1883. Instrumental in his success was an electrifying performance he gave in Paris, under the auspices of Sarah Bernhardt, demonstrating before influential guests his ability not only to write poetry but to sing, enact and accompany it on the piano. The result was instant publication of the extensively-selling Les Névroses, his best-known and most wide-ranging collection which includes, together with characteristically fin-de-siécle items, many delightfully intimate studies of Berry landscape, wildlife, and folklore. It is the fascinating rural section of Les Névroses, including 'La Vache au Taureau', so admired by Oscar Wilde, which is most fully represented in this selection of a hundred pomes translated into English, from Rollinat's most spectacular volume.